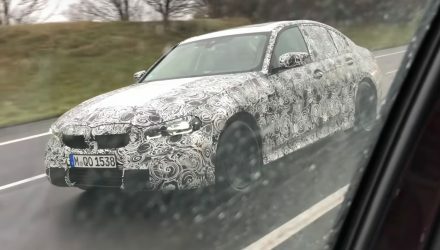 BMW has been spotted testing the next-gen 2019 BMW 3 Series, known as the G20, out near and at the Nurburgring in Germany. This is expected to be a big leap ahead of the current F30 3 Series, as per usual 3 Series generation jumps, adopting a new platform and packing in more technology and advanced features. There’s even speak of a carbon fibre roof for the upper variants. As one of the key pillars of its major overhaul is the introduction of the CLAR platform, which debuted on the latest 5 Series. It is likely to bring in a number of advanced weight-saving measures, including the extensive use of high-strength aluminium and potentially some carbon fibre. 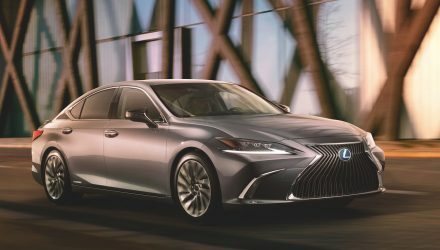 The new platform is expected to offer a number of advantages over the current model, including weight efficiency, rigidity and driving performance. With more technology and computers on board, the new platform is set to keep the kerb weight down to around the same level as the current model, or even lower. And for the performance variants, such as the M340i, a carbon fibre roof might be in place to lower the centre of gravity and further reduce weight. With the new platform cabin space is set to grow slightly, with a longer wheelbase opening up legroom in the back. Boot space might also be stretched from the current market benchmark of 480 litres. As for the design, we can probably anticipate a more grown-up look, with various elements borrowed from the larger 5 Series. 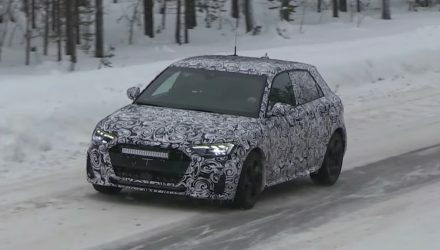 You can see new headlights on these prototypes, as well as a more upright set of front grilles, and a wider orientation removing any existing vertical or upright characteristics. 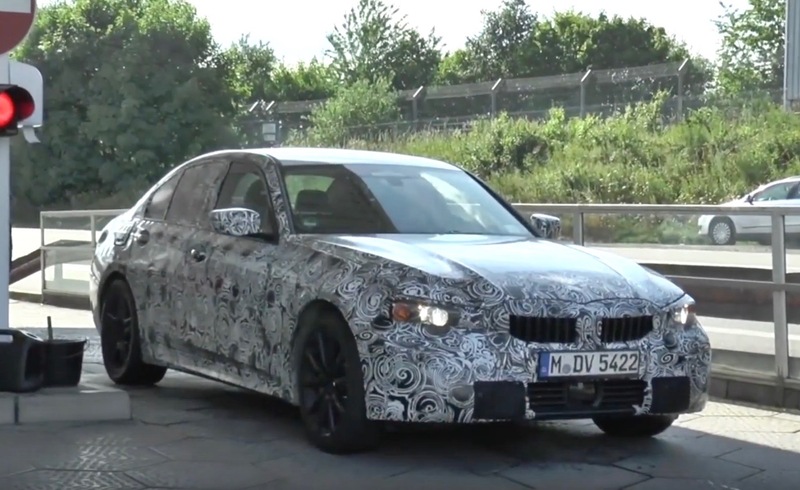 Out on the Nurburgring, we can see, thanks to this video by Autoevolution, the G20 3 Series looks pretty agile and playful. The engineers appear to be pushing the prototypes pretty hard on the track to make sure the company gets plenty of data and can fine-tune the driving dynamics, in the hope of once again resetting the driving benchmark in the segment. 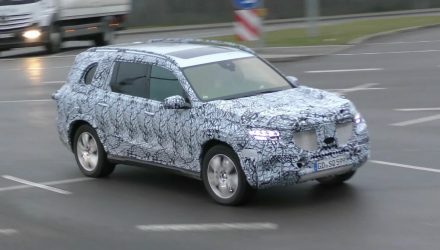 Market entry for the new model is expected to take place in 2019, with a public unveiling some time later in 2018. Click play below to check it out so far.